What’s more difficult to negotiate than print-to-epub conversions? Trickier than a multi-level index? Thornier than translating “tasteful nudes” into Mandarin? Intellectual property. Your copyright. Foreign rights sales. But most of all, reproduction rights in the era of copy and paste. Books—many—have been written about rights, so I’m not going there. No, this is about the rights on which the publishing business—and even the business of blogging and web content—is based. Publishing contracts are actually rights licenses, and publishers negotiate for rights. There are rights agents, too, who will buy rights to a book in one place, and sell them for a higher price in another. The entire book publishing industry, that towering edifice of cultural ambition, rests on the licensing and exercising of reproductions rights. As an author, you own the rights to your work. When a publisher agrees to publish your book, you license the rights to them. But rights have other sides as well. The most common question I get is about the use of other people’s creations. Quotes from books, pictures off the web, and lyrics from songs. Everybody wants to use them but, curiously, no one wants to get permission. Everyone has heard of something called Fair Use, and is convinced that describes what they are doing. Last year I was fortunate enough to have David Amkraut, an intellectual property attorney, write an article explaining what fair use is, and what it isn’t, and if you have any questions about it I recommend you start there: What Every Writer Ought to Know about Fair Use and Copyright. Last week I read an article on the Guardian’s (UK) website by the author Blake Morrison about the Cost of Quoting Lyrics. For one line of “Jumpin’ Jack Flash”: £500 ($717). For one line of Oasis’s “Wonderwall”: £535 ($767). For one line of “When I’m Sixty-four”: £735 ($1054). For two lines of “I Shot the Sheriff” (words and music by Bob Marley, though in my head it was the Eric Clapton version): £1,000 ($1434). Plus several more, of which only George Michael’s “Fastlove” came in under £200 ($286). Plus VAT. Total cost: £4,401.75 ($6,315.68). A typical advance for a literary novel by a first-time author would barely meet the cost. In the end Morrison split the cost with his publisher, but as self-publishers, what would we do? After this experience, perhaps you will take Blake Morrison’s advice: Don’t ever quote lines from pop songs. But the message is, rights are real. Intellectual property is just that, property. Because it’s easy to copy and paste isn’t the point. And then there are the other kinds of rights. But this story is closer to home. I’ll Trade You My Rights For . . . I received a request via email last week from a representative of a division of a large corporation with an active user community. As it happens, this community is entirely composed of people who are likely to be interested in the articles I post here on The Book Designer. It was pretty flattering, actually, to be asked to contribute a particular article to their community and be introduced to them. This is the kind of thing bloggers dream about. After a few emails the representative sent over a release to sign so we could proceed. I printed it out, signed and dated it and set it out for faxing. I decided to read through it once while I was standing there. These are usually pretty routine. The request had been for an article for educational use, and the “payment” would be an attribution to me as the author and a link back to my blog. But I was pretty surprised at what the release actually said. You know, a “release” is actually a “release of rights.” In other words, in order to use my material—the article—they wanted me to legally give up some of my rights. Which rights? I understand that my name and the company I am associated with, if any, and any descriptive or written material and all rights of personality or publicity therein may be used and published in any manner [the company] deems advisable in connection with the Content. I understand that by permitting [company] to use my Content, I am granting [company] an irrevocable, non-exclusive, worldwide, royalty-free, fully paid-up and perpetual license to reproduce, publish or otherwise use the Content in any manner [company] deems advisable. Think about what is going on here. The asymmetry between the large corporation [company] and little old me is mirrored in the asymmetry of this release of rights. In other words, in exchange for the honor of having my article reproduced on their website, I get to give up control of the commercial use of my name, my company’s name, forever, everywhere, and for nothing, in connection with this particular article. Neat, huh? There’s also the lack of congruence between the original request for an educational use and the reality of the release, which points in other passages to “advertising, merchandising or publicity purposes.” In fact, the promised attribution and link-back aren’t even mentioned. As you might expect, I sadly and with real regret declined the offer, and we are searching for other ways to accomplish the same end. Look, I’ve done my time in corporate America, and the lawyers who draft these documents work everywhere protecting their employers and seeking to make the best deals they can. Fine, that’s capitalism. But there’s a lesson here for all content creators, creatives, writers, photographers, artists. It reminded me forcefully of the presentation Dave Mathison gave at our publishing workshop recently, and the insistence by all the speakers that day that we be careful to safeguard our rights in every transaction. For a long time the “creatives” in publishing and other industries have been treated surprisingly poorly, considering the business wouldn’t exist without us. At the same time, writers and other artists are often business-shy, and so desperate to make that deal, to get acknowledged, or just pay the rent, that we sign whatever’s put in front of us. In the age of digital transmission, it’s more important than ever to realize that we must control the rights to our own material. Holding onto our rights, understanding licenses, resisting the bundling of rights bring a change to this asymmetry. Without those rights, there is no modern publishing business. Something to think about. Takeaway: When dealing with a rights license, be careful you don’t give away more than you bargained for. And treat other people’s rights with equal zeal. We’re in this together. Hi, I would like to use song titles only in a book, no lyrics as I already researched the implications of using lyrics. But is it OK to just use song titles within the book in quotes, stating the name of the artist, and then at the end of the book having a reference page where it is laid out who the artist is, year of release, etc.? Thanks. What would be the correct format? Indeed, Morrison committed the mistake of asking for permission. One single line of a song clearly falls under the concept of “fair use”. From my point of view, Morrison’s use of the lyrics would fall under “fair use” under the terms explained in the link above. Morrison created a work of fiction (a novel). The fair use statement does not seem to allow this. A novel is not a review, a scholarly work, a summary news report, a library replacement of damage, a teacher/student work, a judicial proceeding, or incidentally inside a news broadcast. And as Morrison claims the quote lends atmosphere to his novel’s scene, it doesn’t seem to be parody. To which aspect of the US Copyright Office statement are you referring? Hi, thank you for this article, Joel! I’m about to self-publish my first book, and have paraphrased three lines of a song by Mari Boine, a Norwegian singer. I hope the way I’ve done it is ok. I did write to Mari Boine to ask whether I could use the lyrics, but she hasn’t replied. 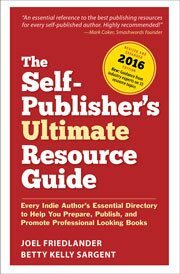 I stumbled on this article, quite accidentally, while trying to get more information about self-publishing book companies. Just in the nick of time. I have to reedit Don Williams’s ‘You are my best friend’ lyric ( a 4 line chorus) and Queens ‘Oh you make me live’ from my book ( a one line reference). Better to be safe than slamed with copyright infrigement. I am not a lawyer, but I believe Morrison made a serious mistake – he actually requested permission, and was charged for it. I cannot believe that a “one liner” from a song would not fall under the “fair use” clause, if used to indicate the mood of a story. I don’t think it would stand up in court that he would have to pay for one line of a song. I’m not a lawyer. But it seems to me that quoting a couple of lines of song lyrics ought to be perfectly legal. So what you’re really paying when you license song lyrics for a book is bribe money. 1) is the purpose of the infringement non-commercial or educational? Let’s assume not. 2) the nature of the copyrighted work. Not much help there. 3) How big a snippet of the lyrics did you use? A couple of lines. Enough to bring the original work to mind, if the reader is familiar with it. Nowhere near enough to reproduce it. 4) The effect of your use of the lyrics upon the market: The effect could only be positive for the copyright holder, as it reminds readers that there’s a song that they might want to listen to, without giving them anything remotely close to the listening experience. Maybe my legal analysis is wanting here. I’m definitely biased. It frustrates me, as an author, that there are all these songs out there in the world, that have the power to trigger memories and evoke feelings, and as an author, I might be legally barred from reminding my readers of their existence without paying exorbitant licensing fees. I’ve been googling, and I’ve found plenty of instances of publishers refusing to print lyrics without changes or paying off the rightsholders. But I can’t seem to find any cases showing the excerpters being taken to court, or how those cases turned out. So, y’know, at your own risk. Thanks for this. I am writing a first book and I intended to quote just a few words from Steinman’s Coming Back to Me Now (the Titanic sound track). I would have been toast. I will just delete and rewrite the paragraph. By the way, it was sung by Celine Dior; so who has the rights? I was concerned about using lyrics in the current book I’m writing. I knew (or strongly believed) the title in a song could be used without a problem, but actual lines were not permitted. To get around this, I did the same as Michael, I worked a few words in here and there. My paragraph: Johnny Reid spoke straight to my heart with his Dance with Me song. It had been a long day…a long month filled with uncertainty and horror. I wished I could light a candle, draw the shades and sip on a glass of wine…or dance with Lorcan. We had finally found our moment. This is the title of the song, but it’s also a question many guys have asked. Good info…glad to have read this early on in the process. Thanks. That seems like a really good (remember I’m not a lawyer) workaround, Michael. I’d be surprised if you got any difficulty since you didn’t actually quote the song. Thanks for the idea! It can be expensive to pay a licensing fee to use a lyric in a book, and even more expensive if you get caught using a lyric without a license. I devised a workaround. With a well-known song, I identify the song, and paraphrase the lyric to invoke the mood of the real lyric. The phrase has been used in lots of songs (e.g., “To all the girls I’ve loved before,” “This one’s for all the girls”). That IS a great workaround! Thank-you both, gentlemen. Now I’m off to read “What Every Writer Ought to Know about Fair Use and Copyright” to hopefully learn something about using the quotes of famous personalities. Glad you got something, William, thanks for stopping by. Unfortunately there’s a difference between “common practice” and what’s actually lawful. I hope this helps, and thanks for visiting. Very interesting stuff, this’ll help keep me on my toes. I’ve got a question for you though concerning quotes from other books as epigraphs. This seems to be a common practice, but are there copyrights concerns we should be aware of when taking quotes from other books? I presume that public domain works are safe, but what about more recent works of fiction? Thanks and keep up the great work! Woa that is just plain scary, I’m glad you noticed that. I’m continually amazed at how short the creative’s end of the stick is in these industries. I think the harshness of the current climate has whittled away all the shyness that creatives possess. What it hasn’t changed though is our fear. We know we have to be out there building our platforms and marketing but many of us refuse to re-examine the artist.distributor relationship for fairness. I look forward to the day when we become “cutthroat creatives” as far as business goes, when we force every layer of the distribution process to justify it’s cost and receive our fair share. Well said Mayowa. Having been at the wrong end of the stick for so long it may take some doing to get up the pluck to assert our rights, but the democratization of content means the day is coming. Thanks for your comment.